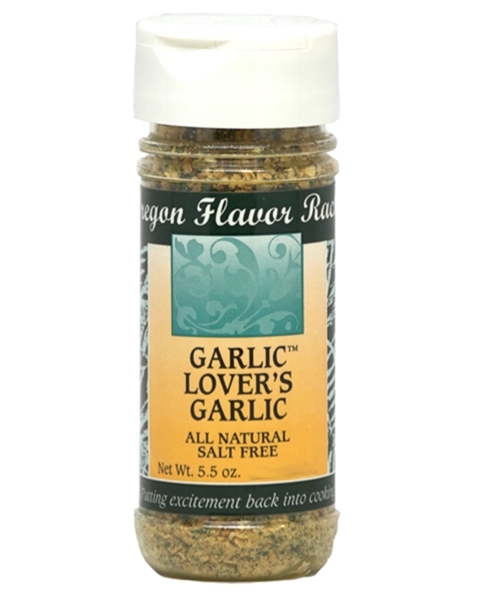 Oregon Flavor Rack's Garlic Lover's Garlic. All Natural and Salt Free. 5.5 oz. This Unique blend is made with the purest forms of garlic and other enhancing herbs it makes the BEST of anything from your Veggies, potatoes, pasta flavored butter, cream cheese, baked or grilled chicken and the ultimate grilled steak. You get the idea, use Garlic Lover's Garlic whenever you're ready to throw down a great meal.